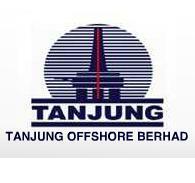 Tanjung Offshore Services Sdn Bhd (TOS) is a TANJUNG Offshore Berhad (Tanjung) main subsidiary. Tanjung Offshore Services was commenced operations in March 1990 and involved in providing comprehensive services to the oil and gas industry and had secured some exclusive agencies for a wide range of engineering equipment and parts such as compressors, turbines, pumps and control valves in Malaysia. Our 15 years of experience in providing the right equipment and services to the OIL and GAS industry has been our greatest strength in making sure of our clients’ successes. From the moment EXPLORATION started, then during the DEVELOPMENT of the oil field, PROCESSING at the refineries, MAINTENANCE and the DISPOSAL processes - we have everything covered.